Una vision general de las formas y presentaciones de los Complementos Alimenticios para ayudar a entender su acción y seleccionar el mas adecuado para cada persona. By LAMBERTS® The practitioner’s Guide to Supplements (Resumen). Is published by “The Reader’s Digest Association Limited, London on behalf of Lamberts Healthcare. The number of different forms and strength of supplements available theoretically allows you to find the kind that is best for you, but the wide choice and the varying label claims can make shopping for supplements confusing. Tablets and capsules are frequently the most convenient forms of supplement use, but other forms may be more appropriate in some cases. Both tablets and capsules are easy to use and they generally have a longer life than some other supplements forms. As well as their vitamin or nutrient content, tablets are also likely to contain more, usually inert, additives known as excipients. These compounds bind, preserve or give bulk to the supplement, and some can help tablets to break down more quickly in the stomach. Essential fatty acids, such as those found in fish oils and evening primrose oil, and sometimes the fat-soluble vitamins A, D and E are available as ‘softgel’ capsules. Other vitamins and minerals are processed into powders or liquids and then encapsulated. People who find pills hard to swallow may choose to use powders, which can be mixed into juice or water or stirred into food. Ground seeds such as psyllium often come in this form. Powdered vitamin C can be mixed with water for use as a skin compress. Doses of powders can be easily adjusted, and because single nutrient powders have fewer additives than tablets or capsules they are useful for individuals who are allergic to certain substances. Powders are often cheaper than tablets and capsules. 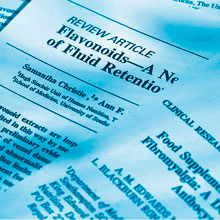 Liquids formulas for oral use are easy to swallow and can be flavored; many children’s formulas are in liquid form. Some supplements, such as vitamin E, also come in this form for applying topically to the skin. Such supplements are usually flavored, and are particularly useful for people who have trouble swallowing pills. They do not need to be taken with water. Some supplements can be bought in the form of lozenges that dissolve slowly in the mouth. Zinc lozenges, for example, help in the treatment of colds and flu. A few supplements in liquid or tablet form are formulated to dissolve sublingually (under the tongue), providing quick absorption into the bloodstream without interference from stomach acids and digestive enzymes. These consist of tiny capsules contained within a standard-size capsule. The microcapsules gradually break down, releasing the vitamin into the bloodstream over period of about 2 to 10 hours. Vitamin C in often sold in this form because it cannot be stored in the body. Time-release formulas may allow a more natural and even absorption of a vitamin into the bloodstream. You can by whole herbs and make up your own formulas, but the tablets, capsules and other prepackaged forms described below, including forms for external use, are readily available in duly authorized establishments. Tablets and capsules are prepared using either a whole herb or an extract containing a high concentration of the herb’s active components. Either form allows you to avoid the often bitter taste of the herb. The constituents are ground into a powder that can be pressed into tablets or encapsulated. Some herbs are available in enteric-coated capsules. These pass through the stomach into the small intestine before dissolving. This minimises the potential gastrointestinal discomfort and also enhances the absorption of the herbs into the bloodstream. These concentrated liquids are made by soaking the whole or part of a herb in water and alcohol. The alcohol acts to extract and concentrate the herb’s active components. In certain cases some or all of the alcohol is then removed. Non-alcoholic concentrations can also be made using glycerine. Tinctures are typically taken in small doses several times a day. The dose is measured in drops with a pipette and usually diluted in water or juice. Less concentrated than tinctures, teas and infusions are brewed from the fresh or dried flowers, leaves or roots of a herb. They can be purchased in bulk or as tea bags. Although tea is normally made with boiling water, the herbal teas recommended here are prepared as infusions, using hot water that is just on the verge of boiling-this preserves the beneficial oils that can be dissipated by the steam of boiling water. To make a decoction the tougher parts of a herb, such as the stem or bark, are generally simmered for at least half an hour. These liquid remedies should be used as soon as possible after being brewed because they start to lose their potency within a few hours of exposure to air. If stored in tightly sealed glass jars in the refrigerator they will retain some strength for up three days. Oils extracted from herbs can be distilled to form potent concentrations for external use in massage or on particular areas of the skin. These “essential” oils are usually placed in neutral “carrier” oil, such as almond oil, before use on the skin. Essential herbal oils should never be ingested, with one exception- a few drops of peppermint oil on the tongue may be recommended for bad breath, and capsules of the same oil can be beneficial in the treatment of digestive problems. Gels and ointments made from the fats or oils of aromatic herbs are applied to the skin to soothe rashes, heal bruises or wounds, and serve other therapeutic purposes. Creams are usually light oils and water mixtures that are partly absorbed by the skin, allowing it to breathe while also keeping in moisture. Creams can be used for moisturizing dry skin, for cleansing and for relieving rashes, insect bites or sunburn. Extracts are the most effective form of herbs, which makes them particularly useful for people with absorption difficulties or severe disorders. When herbs are recommended for the treatment of ailments, it is usually suggested that “standardized extracts”, should be chosen. Herbalist and manufacturers use this term to guarantee the potency of the active ingredients of a product. The quality of a herbs dependent o many factors, including the sunlight, water, temperature and soil quality to which it was exposed when growing as well as storage conditions and extraction and manufacturing procedures. A change in any of these conditions can affect potency. The standardization the active components of a whole herb-such as the allicin in garlic or the ginsenosides in ginseng- are extracted, concentrated and made into form of supplement such as a tablet, capsule or tincture. By this method a precise an amount of the active ingredient can be supplied in each dose. Sometimes, instead of standardized extract, manufacturers process the whole, or crude, herb. In this case the whole herb is simply air or freeze-dried, made into a powder then converted into capsule, tablet, tincture or other form ready for packaging. Crude herbs may contain unidentified active ingredients, and only by ingesting the whole thing can all its benefits be obtained. In many cases you would have to use a much greater amount of a whole herb to gain an effect similar to that of a standardized product, but although standardized products are more consistent from batch to batch, does not mean that they are more effective. Responsible manufacturers print instructions about proper use on their supplements labels; you may encounter many brands that do not include instructions. Some nutrients may interact with one another, which can affect their absorption or utilization by the body: For example, fat-soluble vitamins (A, D, E and K) require some dietary fat to facilitate absorption so they should be taken with food. Iron taken with meals is best absorbed with small amounts of meat and foods containing vitamin C, Calcium absorption is improved by taking supplements with meals, and the effect of calcium on building healthy bones is enhanced when it is taken with magnesium. Other nutrients, when taken in combination, likewise enhance one another’s benefits. For example, vitamin C helps to regenerate vitamin E after it has been modified by neutralizing reactive free radicals- so, because these antioxidant nutrients work together, they are best taken at the same time. Products that contain standardized extracts are more likely to provide a proper dose of a particular supplement that those that do not, but whenever you by a supplement-whether it is a standardized extract or whole herb in tablet, tincture or another form- you are always dependent on the manufacturer’s integrity. How do you know what a product contains? Manufacturers are required by law to list all the active ingredients on each label, but monitoring of the contents of supplements can be sporadic, so no one is sure about the degree of compliance. Established manufacturers of supplements have reputations to protect, and so they try to ensure that their products contain what is stated on the labels. Shop carefully. There is no independent guarantee of purity or potency, so it is up to you to select brands with reputation for quality. Do not exceed the recommended dosages and always ask your doctor about possible interactions with any drugs you are taking. Bibliografia: LAMBERTS The practitioner’s Guide to Supplements (Resumen). Is published by “The Reader’s Digest Association Limited, London on behalf of Lamberts Healthcare.